Literary Pet Travel Thursday: Help Wanted | Will My Dog Hate Me? I’m excited to announce that I’m joining a terrific team of bloggers over at A Traveler’s Library. I’ll be writing about pet travel in books and film the first Thursday of every month. Memoir or fiction, serious or light hearted…anything (except guidebooks) goes. I have a few ideas, but need a lot more. I’d love your suggestions. Foreign books and films in translation or with subtitles are very welcome. So are tales of travel with cats and other creatures. Travels with Charley, by John Steinbeck — which, believe it or not, I’ve never read. A man and a poodle head out to look for America. Dog Walks Man, by John Zeaman. More meanderings with a standard poodle, this time into the “suburban fringe” of the New Jersey Meadowlands. I’ve been planning to review it on this blog for ages. Following Atticus, by Tom Ryan. A miniature schnauzer named Atticus Finch is the muse of this book about climbing New Hampshire’s White Mountains, published on September 11, 2011. I’m reading it now and loving it. As for films — I can’t think of any that focus on pet travel besides “Beverly Hills Chihuahua,” tracing a diminutive dog’s journey back to her Mexican roots. I’m a big fan, but I don’t want to give pet bloggers a bad name as low brow in their movie tastes so if you have any other suggestions, do pass them along. For your sake as well as mine. Can the Will My Dog Hate Me pet travel book club be far behind? Update: If I get comments from outside this blog, I’ll add them here. This from a friend answering on LinkedIn: The Year of the Hare by Arto Paasilinna. Her summary: Gentle stories of a journalist who ditches his life to roam Finland with a rabbit he ran over. That sounds amazing! And it sounds like we’re on for the book club! I’m not sure how to do this, but am open to suggestions. 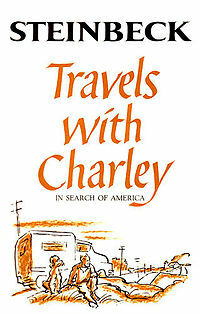 Anyone who’s interested, let’s start with Travels with Charley and go from there. Hmmm… I can think of a fair amount of books/movies involving animals making journeys, but not as many that are stories about travel with their owners. I’m going to have to ponder this one. I think animals making journeys counts, as long as there is a good feeling for the place where they journey; otherwise I couldn’t cover Beverly Hills Chihuahua. So tell me which books/films you have in mind — I’m open to all! I’ll start that book club list and put your name on it. Love, love, love this idea!!!! Congratulations on you new adventure. I love that idea, Deborah, but I don’t know that Oz qualifies as a travel destination… However, I’ve never read the book and always wanted to. Maybe we could include it in the book club and discuss the relationship between Dorothy and Toto?! Oops! Forgot to mention. Book club? I’m in! There is that woman who writes mysteries starring cats, you know, if Frankie would let you talk about it. We’ve had a guest review of one of her books, but there are dozens. Which makes makes me think that there MUST be mysteries where the dog helps solve the crime in an interesting setting. Looking forward to all the ideas. Thank you! I’m very excited about this. And I think the book club is going to be a go, which makes it even more exciting. It’s funny, I just googled Year of the Hare and lo and behold what came up but the Traveler’s Library review… oh well. But I’m confused. I thought that travel had to be involved. There are a lot of mysteries with dogs — and cats — but the characters don’t go anywhere. So you’re saying books with a strong sense of place work too? That opens up the arena! (BTW, I’ve read those cat mysteries and don’t like them — but not because of the cats!). I’m really excited to hear about this new venture. I missed Steinbeck in high school because of some weird school decisions that had me going from Remedial to Advanced Placement English in one year. As a consequence, I missed reading a lot of the stuff everyone else read. The good news is that I read Travels with Charley as an adult when I could appreciate it more. I also borrowed it to play in the car when my husband and I took a long road trip. It was a great road trip accompaniment. I’m also a big fan of Dog Walks Man and wanted to review it myself. It’s a true gem. I enjoyed Ella in Europe which I may have recommended to you before. It’s been a while so I don’t remember if its as well written as some of what you’ve gotten lined up already. But I was enchanted by the idea of a man planning a trip to Europe so his dog could experience visiting cities where she could accompany him into shops and restaurants. Here’s a link to the Amazon description: http://www.amazon.com/Ella-Europe-American-International-Adventures/dp/0385338635/ref=sr_1_1?ie=UTF8&qid=1317316567&sr=8-1. Can’t wait to read your reviews. I’m going to listen to Travels with Charley too — though just en route to the gym where I do all my best “reading” and Trader Joe’s. I’m so glad you liked Dog Walks Man and agree it fits into this category though it’s not a real travel book. And if you mentioned Ella in Europe, I’ve forgotten about it so it’s like a new — and much appreciated — suggestion. It sounds wonderful. Almost forgot, would you regard The Jerk with Steve Martin as an animal road movie? Well, I liked it. perhaps you’ve already written about James Herriott’s books, or the movies made from them? if not, well — he was a vet in Yorkshire. That’s a good idea, Kerry. I also joke that my mother was afraid of all creatures great and small — which is why I waited so long to get a dog — but a film based on James Herriott’s books sounds like it would offer a terrific opportunity to talk about the English countryside. I can’t think of a single noteworthy pet travel book I’ve read, but I am reading Dogs that Know When Their Owners are Coming Home. Includes sections on dogs and other animals –homing pigeons, migrating birds, cats, horses–who travel long distances on their own and still know how to get back. Might make an interesting contribution on travel, from the animals’ perspective! I’ll have to check that out too — thanks! Thanks for the suggestion, Jessie! Even if I don’t end up using it for A Traveler’s Library, it sounds like a terrific book. Sight Hound by Pam Huston? 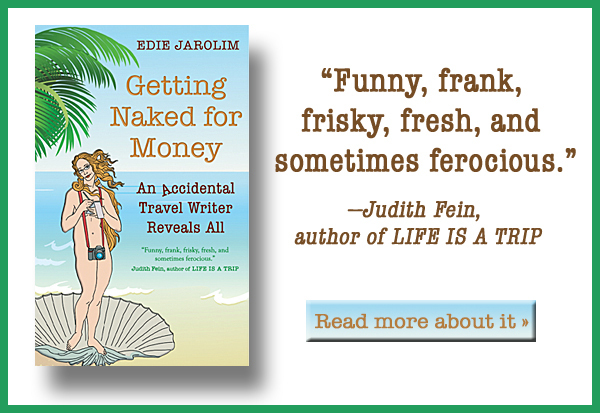 I loved the book, and there is some travel involved, but I can’t say that it’s really an on-the-road kind of book. I’ll glance through it again and get back to you. I’ll bring it to Tucson next month. Thanks, Karen — I never read animal books when I was a kid (though I watched Lassie on TV) so I have a lot of catching up to do! Thought of a few more movies! Hmmm… now you’ve got me wondering if Lawrence of Arabia counts. Lots of camels! Thanks for these, Karen! Travels with Macy, Bruce Fogle. He bought a motorhome, flew over here with Macy and went on a trip following in John Steinbeck’s footprints/Charlie’s pawprints. Pretty neat. It’s been quite a while since I read it, printed in 2005. And, yes, it is Bruce Fogle the vet. One of my favorites: Lauren’s Story, An American Dog in Paris, Kay Pfaltz. It is a wonderful book. The most recent, 2011. Diary of a Dog Walker, Edward Stourton. I picked it up in England when we were there this summer, but I think Amazon has it here, too. One does not like to order books from England. The postage doubles the price of the book. Yikes! I’ve not had a chance to read it yet, but looked fun when I flipped through it. Just thought of two more. Two Feet, Four Paws and Small Steps with Heavy Hooves, Spud Talbot-Ponsonby. These two are from 1997 and 1998 but they reprinted them a year or two ago. I believe the names may be slightly different on the new ones, but that may be in England as they are both listed on Amazon here with the original titles. The first is about a walk around the entire British coast and the second, a walk in the Highlands. And, if you can review travel books, The Dog Lover’s Companion to California, Maria Goodavage, and others in the series are always good. I’d forgotten about Ella in Europe. I enjoyed it, liked Lauren’s Story a bit better, but that’s just my opinion. There is a movie about a woman traveling with her dog and I can not remember the name of it. Believe she lost her job and is working her way back to Canada. Seems like I read that she ends up leaving the dog in Seattle so I wimped out and never watched it. Wow- terrific list, Peggy. I think Travels with Macy will be on the top of my list since I’m going to start with Steinbeck. The others sound excellent too. I remember the movie featuring the young woman traveling with her dog. It is deeply depressing so I blocked out the title. And the general idea is to make people want to visit these destinations and I recall that everyplace she and her dog visited looked grim! Two more. Narrow Dog to Carcassone and Narrow Dog to Indian River, Terry Darlington. My thoughts exactly on the movie!! Thanks, Peggy — you’re going to be an honorary member of the book club, whether you participate or not! Fantastic news, Edie! While I don’t have any to add to the list, I can’t wait to see your posts. I always prefer a book or movie that involves pets. I agree, Amy — pets add fun to everything! I’m really looking forward to this. I liked Susan Wilson’s _One Good Dog_ — no travel, but a good description of the human/canine landscape from the point of view of both a man and a dog. Also, _The Story of Edgar Sawtelle_ by David Wroblewski is a brilliantly written novel about dogs and their people with evocative descriptions of the Wisconsin countryside. It’s also bound to elicit some lively discussion. Looking forward to reading your guest blogs on ATL! Thanks for coming by, Wynne. I’ll have to check out One Good Dog. I’ve read The Story of Edgar Sawtelle and disliked it intensely (while reading it to the end!) but you’re right about the Wisconsin countryside and about it eliciting discussion. I think for that reason alone it’s worth reviewing.